Over the last several months, I’ve been extremely busy writing new material for Lock ‘n Load Publishing. Helmed by David Heath, LnLP is a wargame company that has been around for more than ten years. They are the license holders for the upcoming World at War ’85 series, which is designed by Keith Tracton. Back in January, David got in touch with me and asked if I wanted to write something for the World at War ’85 universe that Keith had created and I was more than happy to oblige. The result is the upcoming book, Storming the Gap: First Strike. Based on the first three scenarios in the first module of the game “Storming the Gap“, the action takes place in a world very similar to the one I created with my own books though of course there were some key differences about the origins of the war and the events that followed. Keith was extremely helpful and patient in working with me to help devise three stories that took place during the early days of the war in Fulda Gap. The result is one of my strongest efforts yet. With the support of a publishing company behind my work, the production values are way better than with my earlier books. The work benefits enormously from a professional team that includes illustrators, voice actors, and editors. 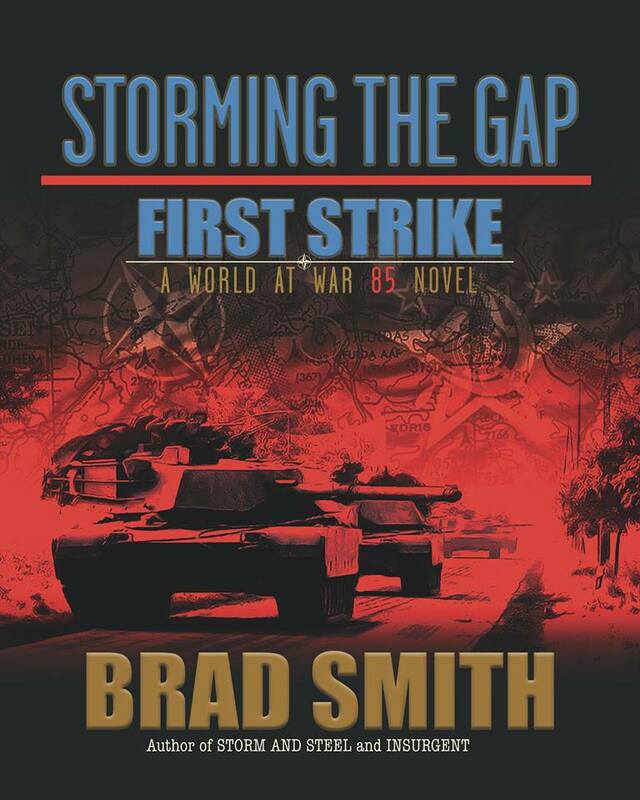 Storming the Gap: First Strike will be available as an e-book, paperback, and an audiobook. Speaking of which, you can check out an audiobook sample here. I am extremely proud of the result and the book is set to be released very soon. Keep your eyes out on the Lock ‘n Load Publishing facebook page for more information. MBT is a game of modern tank combat set in the 1980s. I used the game extensively when I wrote “Storm and Steel”. Due to popular demand, I’ve printed up the scenario on which I based the first battle depicted in the book. You can download it in PDF format here. Enjoy! 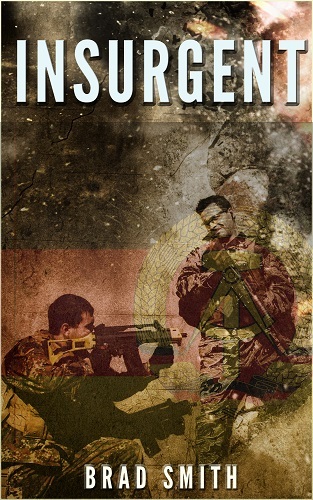 I’m proud to announce that “Insurgent“, the latest entry in the World War III: 1985 series has just been released. As with all my other books, it’s available on Amazon in e-book format. The book is about two Vietnam veterans who are sent to assist an insurgency in East Germany during the opening days of World War III. Along with the insurgent leader, Major Werner Brandt, the team faces numerous challenges as they attempt to hit a the Soviet garrison near Leipzig. It’s a book about war, friendship, and hard choices. May, 1985: The Warsaw Pact invades West Germany. World War III has begun. 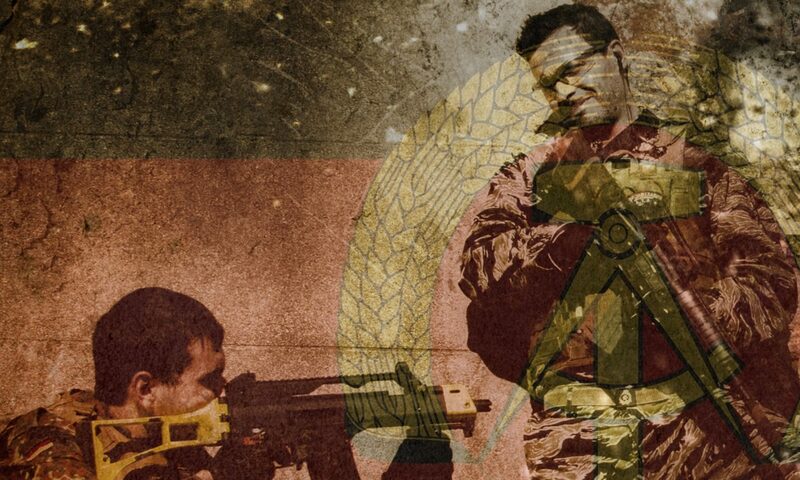 Two Vietnam veterans are sent on a secret mission to East Germany to help train and advise an insurgency aimed at the very heart of the Soviet military forces stationed in the country. The chaos of war provides the perfect conditions for a rogue East German major and his soldiers to strike at the Russians as they pour men and material towards the front lines. Though they are on the same side, the three men become embroiled in a conflict not only with the enemy but also among themselves. 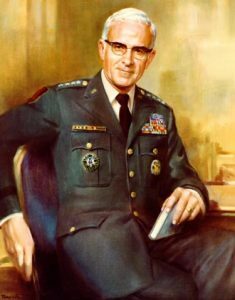 During the Vietnam War, Joe Ricci and Ned Littlejohn trained and lead Hmong fighters against the North Vietnamese Army. When the Third World War breaks out fifteen years later, they are assigned to work with Major Werner Brandt and his shadowy cell of insurgents. Their objective is to break the Soviet occupation force. Consumed with hatred for the Russians, Brandt’s lust for revenge threatens to unravel the entire operation. Ricci, on the other hand, struggles to keep the nearby civilians safe from harm in the middle of a war zone. The two men are set on a collision course as they fight for their countries – and their souls. Storm and Steel – Now Available! 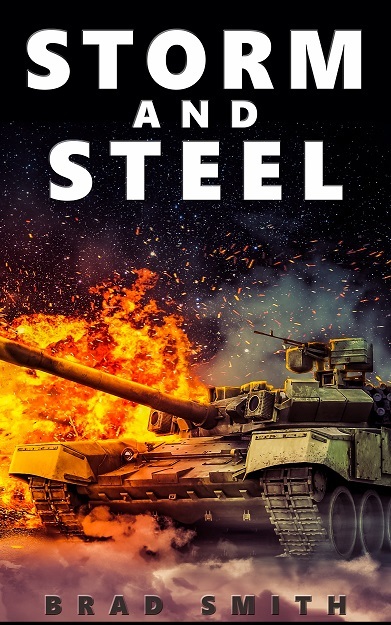 Storm and Steel has just been released in the Amazon Kindle store. This is the latest entry in the “Tales of World War III: 1985” series and perhaps one of my favorite so far. It’s got just the right mix of realism and action to entertain the reader. It also fills in a missing spot in the series by looking at war from the perspective of the West Germans. So often, Cold War Hot fiction focuses on the Americans (“Team Yankee”) or the British (“Chieftain”). I thought it was time to consider how the West Germans would have felt watching their homeland being invaded and fighting for their homes and families. May 1985: A panzer company commander faces his first harrowing day of war versus the Warsaw Pact. 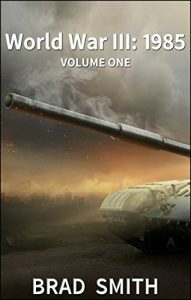 Against the relentless onslaught of Russian and Czechoslovakian divisions pouring into West Germany, Captain Kurt Mohr and his tank crews wage a desperate battle to delay the enemy advance. As a brand new company commander, he must also prove his metal to the men who serve under him. Amid the breakneck speed of mechanized warfare, Mohr battles his own self-doubt and fear in order to quickly adapt to the fast-paced battlefield environment. Fighting in Lower Bavaria also poses unique challenges to his command abilities as the close-in nature of the terrain forces him to deal with threats at point blank range. As the conflict’s first day progresses, the brutal reality of war hits home. With the future of their nation at stake, Mohr and his men become the storm and steel that avenge the countrymen whose lives they are sworn to protect. Battle for Berlin ’85 Released! 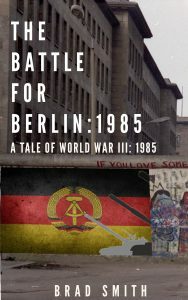 I have just published The Battle for Berlin: 1985, my newest entry in the Tales of World War III: 1985 series. I am very proud of this work and I think it represents my best effort so far. The book is about a Special Deployment Commando team in West Berlin during an invasion of the city by the Warsaw Pact forces. It deals with the personalities involved in the small elite unit as it learns to fight a losing battle against a numerically superior force. During the course of the first day’s fighting, the members of the team experience first-hand the trauma and shock of modern warfare, watching and taking part in the destruction of their hometown with nowhere to retreat. There is intrigue, betrayal, and military action all wrapped up in this one story as the desperate battle for West Berlin is waged on the first day of World War III. Go and grab your copy here and let me know what you think. For this summer, I’m happy to be reading some books from some of my favorite authors. Jim Butcher is great and I am reading Fool Moon from the Dresden Files. Very nice atmosphere and way to take a fresh approach on the pulp noir genre. I also have my sights set on Colder Than Hell by Joseph Owen, an excellent true story about a company commander in the Korean War. Finally, I’ve been reading a book called Creech Blue about Bill Creech’s influence on modern air war strategy in the 1980s. Not as dry as I expected and downright fascinating how one man can make so many positive changes in such a short time. So if you read Enemy Lines, you’ll notice there’s a little loose thread at the end of the book that I have left dangling. Not to spoil it for anyone who hasn’t yet read it, but there’s a certain someone that has something coming to them. If you’re wondering how that plays out, have no fear. I’m writing that short story right now and I’ll be including it as a free download in the coming weeks. As for my other works in the series, summer has been busy and I have slowed my pace of writing down a bit. But I have something very nice planned for the next book and I’ll be dropping hints about it in some upcoming blog posts. Stay tuned! Quick post today. The scenario depicted in my latest book, “Storm Scarred Banner” was based off a game created in 1983 by legendary designer Charles T. Kamps. For a look at how the game played out, you can read my blog post here over on my game blog. One thing I wish I had talked more about in the book was how the weather influences fighting just as it did in the game. Enjoy!